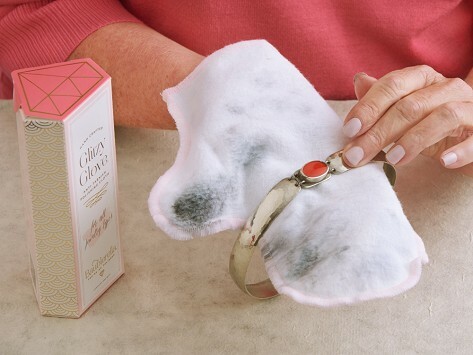 The Glitzy Glove safely removes—and helps prevent—tarnish from platinum, silver, gold, and brass jewelry, as well as plated pieces. Made in Texas, the mess-free cotton mitt is infused with a natural, soap-based formula. Just slip it on and gently polish your jewelry until it shines again. Dimensions: 2.9" x 2.25" x 6"
Just doesn't do the job. If I could find it, I'd like to return it.